In my work as a medical intuitive, one of the things that I look at is all the places you have given your power away. When you give your power away, you lose your energy. When you give your power away, you become discouraged, disheartened, you don’t recognize the difference you make in the very fabric of the entire universe and you lose your sense of direction. Your personal power is meant for you. A simple way to think of your personal power is the chi you have cultivated throughout your lifetime – not just your physical energy but also the degree of emotional equilibrium you manage, your mind power as well as your spiritual karma. When you are calm, grounded and focused, you can learn how to direct this wondrous chi for the benefit not only of yourself but for the highest good of all. This is the benefit of managing your personal power – you have energy that can be directed into your own personal healing, you can complete projects that matter to you and you can contribute to the well being of everyone everywhere. You have bought into the idea that you don’t matter. In my healing work, there is a concept called “buy in.” When you “buy in,” you accept other people’s visions of the world, even if those visions are totally wrong. Many previously marginalized groups have “bought in” to the idea that they don’t matter – blacks, women, gay and lesbian people, the poor, the disabled, for example. If you have “bought in” to the idea that you don’t matter, this leads to a tremendous amount of anger, low self esteem and frustration. If this is the case for you, simply recognize the beliefs you have “bought into” and stop. Affirm: I MATTER. MY VERY BEING LIGHTS UP THE ENTIRE UNIVERSE. You believe that you have to be different than you already are. Here’s the truth. You are meant to be you in this lifetime. You are a unique vibrational interference pattern, also known as a V.I.P. When you really get that fact, that means you don’t have to be a Hollywood star to be a V.I.P. – you already ARE one. Your unique gift to the universe is your own personal energy. You are here to contribute to life on earth from your own unique vantage point. Once you get that, all you really have to do is be the best YOU that you can be. You believe you don’t have enough. If you study physics, what you will learn is that there is no such thing as a perfect vacuum. A vacuum is technically defined as space void of matter. A complete and total void does not exist. We are all inextricably connected to the abundance of the universe. Spiritually speaking, you already have everything you need right now in this moment to accomplish your spiritual purpose here on earth. How do I know that for a fact? If you need it, you have it. Maybe all you need to make your next leap forward is a phone number to call to make the connection, an idea, an inspiration, a deep gnawing in your heart that keeps you striving, an ambition, a wanting. Let what you have already take you to where you need to go, trusting the universe to provide what you need exactly when you need it. You believe you aren’t as good as other people. One of the subjects I sometimes discuss with my friends who I consider to be uber healers is that those of us who are the real deal shun the concept of being a guru. Frankly we don’t want to put ourselves on a pedestal. A couple of years ago, I listened to this lady who told me I should charge $1,000 an hour. A client of mine asked me about this also. My response to my client was, “I actually want to help people.” I don’t want to set myself apart, above or below – I want to be accessible to everybody who truly needs me. I was discussing this subject with a friend who I consider to be a true wizard. He takes special care to be open to everyone because he truly sees what I also see – that deep down we are all equal, we are all precious deeply loved souls who deserve the same equal respect on this planet. Just as I don’t think you should put me or anybody else on a pedestal, so you should not put yourself down. Discover your own gifts and use them. If you study power animals, dragonfly is here to help you break illusions. 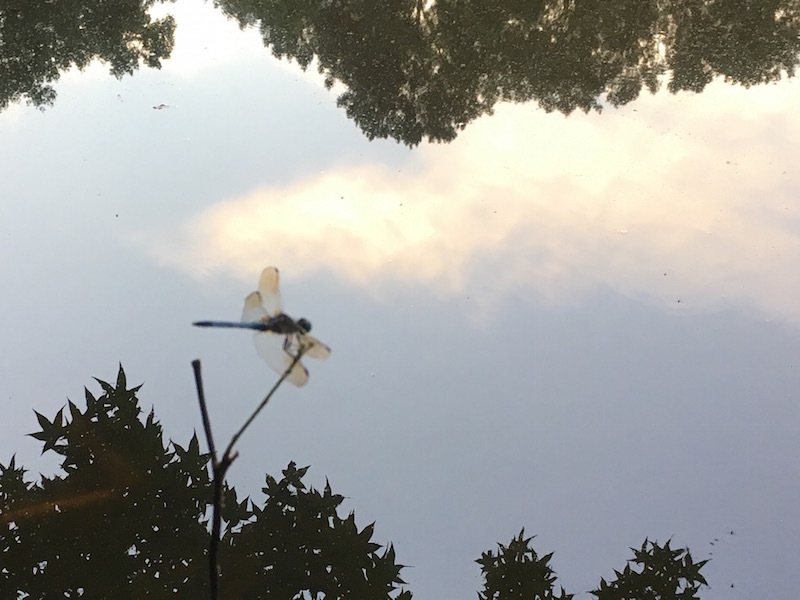 Today I give you dragonfly medicine and I encourage you to break all the illusions that have caused you to give your personal power away. What is healing? Healing happens when you recognize your own personal power, take up your sword and use it for the greater good.